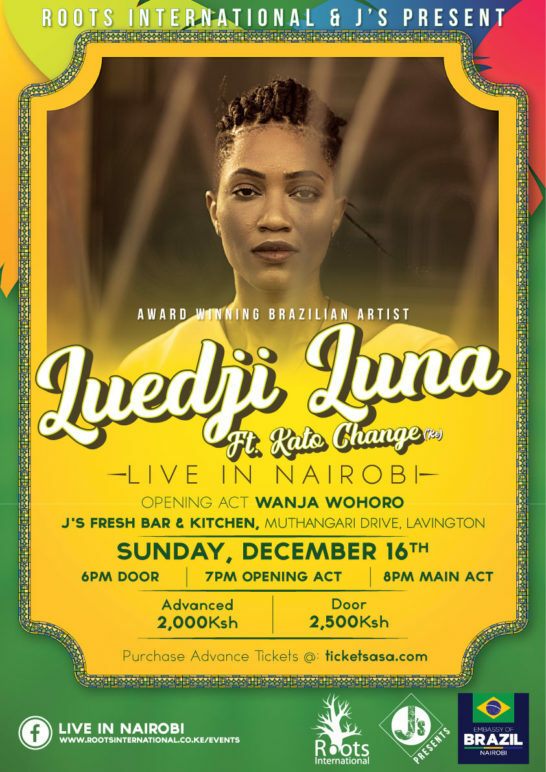 Award winning Brazilian Luedji Luna brings her smooth smoky vocals to Nairobi featuring Kenya’s own Kato Change at the casual gastro pub that is Js Fresh & Kitchen in Lavington/Westlands. 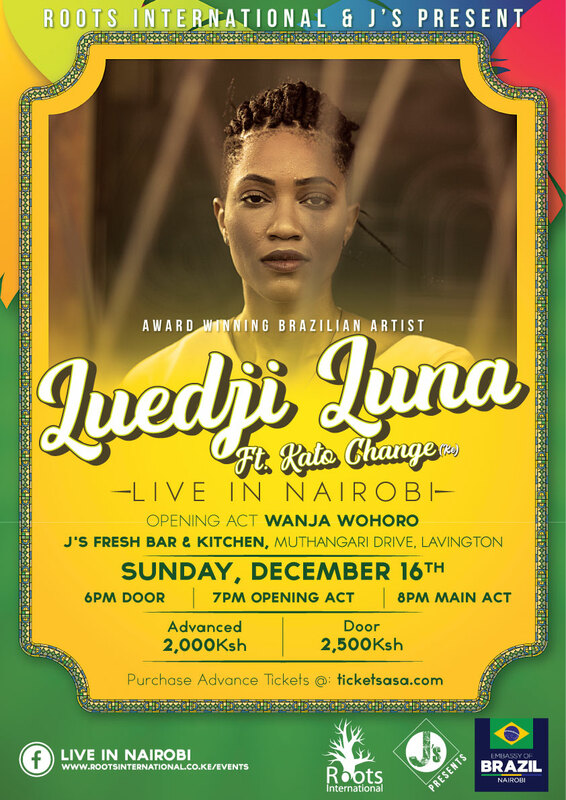 This presentation of Luedji Luna Live in Nairobi would not be possible without the generous support of the Embassy of Brazil in Nairobi. A culturally enriching evening for a mature audience with wonderful ambiance, great food and drinks. Luedji Luna is one of those rare artists that gives you life. She understands how to use her voice as an instrument, always keeping in touch with the emotional waves that energize her music. Msica Popular Brasileira (MPB) is a worldly style of Brazilian music that is always evolving, as Brazilian artists of this genre enjoy blending and exploring fusion of all kinds of Brazilian music with the music of other countries. In Luedji’s case, instead of following the herd that blindly feeds off American pop music, she searches for inspiration in Africa and in the Africa diaspora and recent immigrants of African ancestry now living in Brazil. She navigates the margins, the inner cities, places and people, images and things devalued and excluded from the mainstream media, a Brazil that many don’t want to see or want others to see. Luedji sacralizes, beautifies, empowers those places by her graceful presence, her ability to find peace in the midst of chaos, and her delightful musical expression.